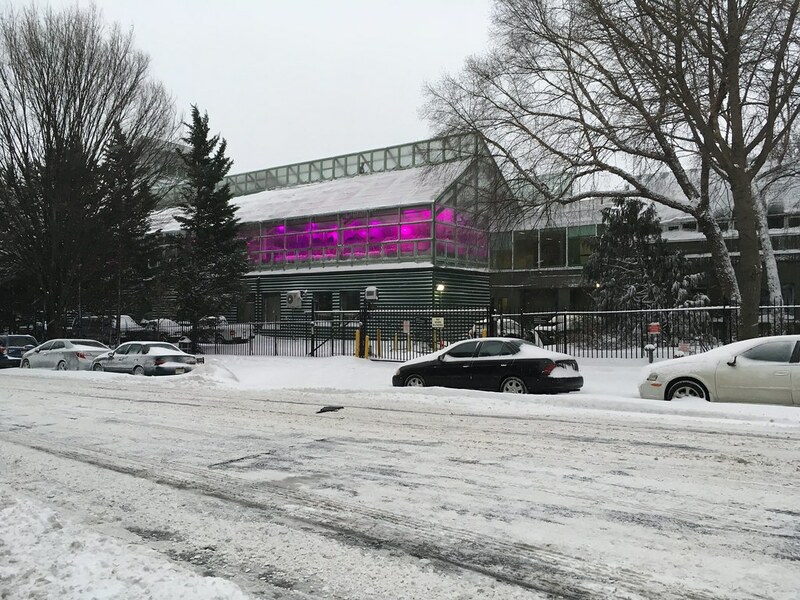 Sustainable lights are emitting a purplish glow from Brooklyn Botanic Garden's greenhouses this winter. Most of the lighting in the Garden's work greenhouses has been converted to LED multispectrum lights in the past year or so. "You'll see thousands and thousands of annuals on display outdoors here in the spring," says Leonard Paul, foreman of the Steinhardt Conservatory. "Most of them start out as seedlings in these work houses." 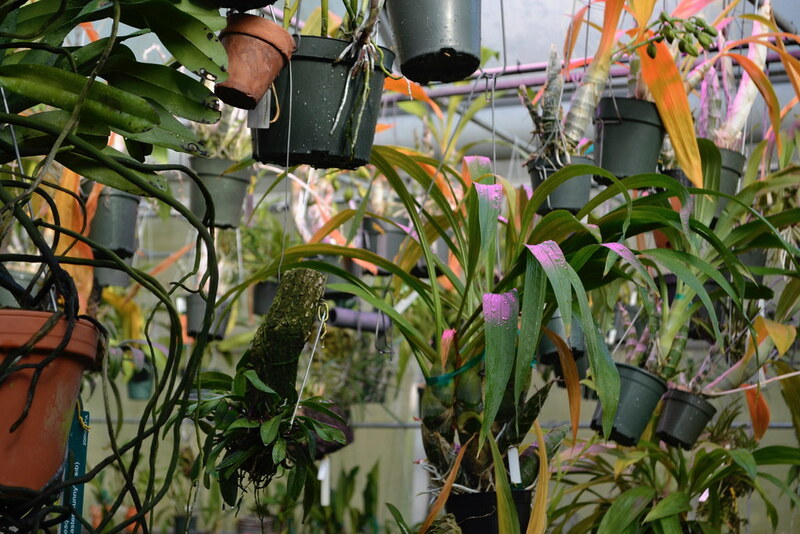 These seedlings, as well as some of the Garden's orchids and other plants, require supplemental lighting, especially in winter, and until recently, the greenhouses all used fluorescent or high-pressure sodium lights. The new LED lights have two major advantages. They're much more energy efficient than the lights they've replaced. They're also set to emit the parts of the spectrum most useful to plants. "Though we're not able to see it ourselves, sunlight has seven colors—red, orange, yellow, green, blue, indigo, and violet—with red and blue being the most attractive to plants," says Paul. The blue part of the spectrum helps with photosynthesis and promotes foliage growth, and the red—or combination of red and blue—stimulates flower and fruit production. The greenhouse lights can be adjusted to favor one or the other, depending on the plants and the timing. Lights similar to those used at Brooklyn Botanic Garden are also being used more in agriculture, commercial greenhouses, and the nursery trade. None of the lights are in public portions of the Garden, but visitors may be able to see a purple glow emanating from the greenhouses along Washington Avenue between dawn and dusk this winter. 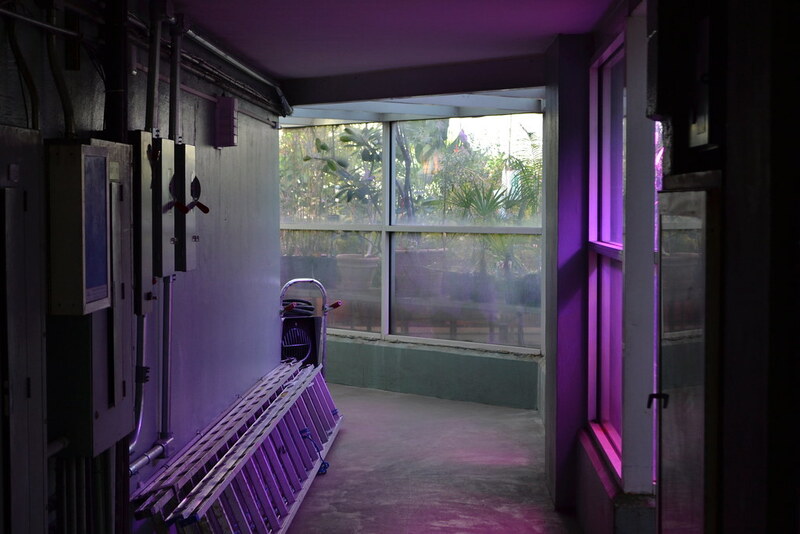 Brooklyn Botanic Garden is using multispectrum LED lights in the greenhouses in winter. Photo by Blanca Begert. These lights are set to use the parts of the spectrum most beneficial to plants. Photo by Blanca Begert. 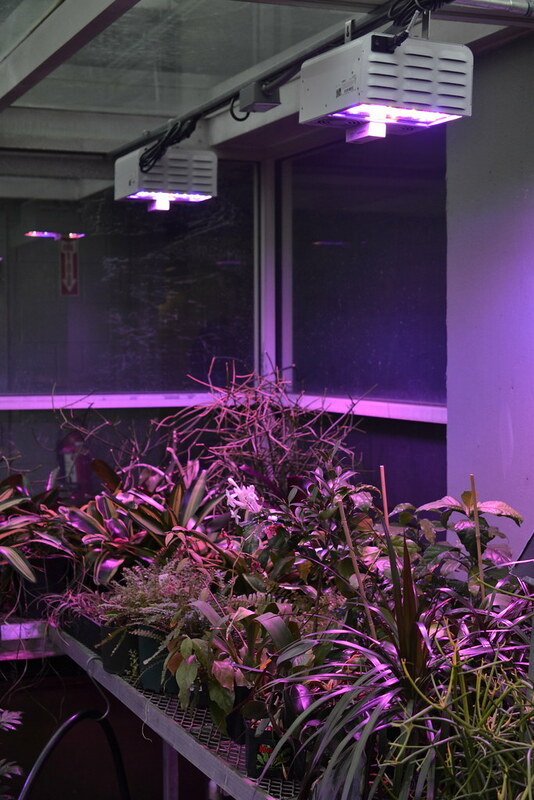 Multispectrum LED lights emit colored light from the greenhouses. Photo by Sarah Schmidt. The LED lights are installed in most parts of the work greenhouses. Photo by Elizabeth Peters.